Water is so so important for our health that I thought it warranted its very own page! Second only to breathing in terms of importance...is WATER! Water functions in absolutely every body system. It is critical to health. Water consists of hydrogen and oxygen (H2O). We need to drink at least 2 liters of good quality water everyday! Of course, it is preferred that your drinking water be free of environmental contamination from heavy metals, pesticides, plastics etc. and drunk at room temperature is best. From the Ayurvedic standpoint, water that is too cold tends to put out your digestive fires (agni). 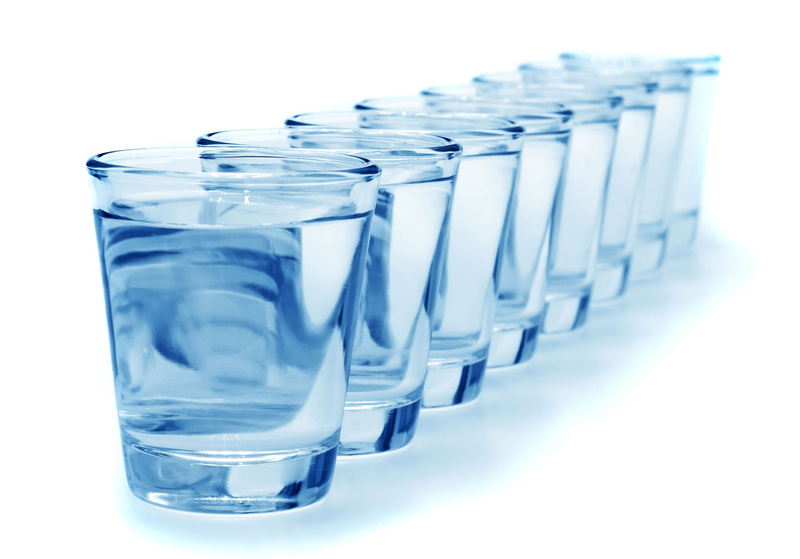 In order to maintain THRIVING health, we NEED to drink water. We absolutely MUST drink water! And yes, that's pure plain old water!...sometimes with a squiz of lemon in it. Sorry to say but, tea, coffee, soft drinks, soda, and any other liquid does NOT count towards your daily water intake. Dehydration decreases your ability to detoxify. Could it get much more simple or easy...? Just drink more water and you will be rewarded with more vibrant thriving health. Our bodies are approximately 70 to 80% water! Our blood is 93% water! Are bodies are also electrical and water is an excellent conductor. So it's a no-brainer that we need the clear divine liquid to survive. So don't hold back, don't resist, change your liquid habits and DRINK MORE WATER! Our cells need water for their proper functioning, cleansing, metabolism etc. If we are dehydrated, then numerous health problems can arise. For cleansing as well, water is absolutely crucial. For everyday cellular respiration, H2O is essential. For a Thriving life, water is necessary! Important note: Please store your water in glass or stainless steel bottles. Some plastics can leach harmful chemicals into the water. “The pH level (the acid-alkaline measurement) of our internal fluids affects every cell in our bodies. Extended acid imbalances of any kind are not well tolerated by the body. Indeed, the entire metabolic process depends on a balanced internal alkaline environment. A chronically over-acidic pH corrodes body tissue, slowly eating into the 60,000 miles of veins and arteries like acid eating into marble. If left unchecked, it will interrupt all cellular activities and functions, from the beating of your heart to the neural firing of your brain. Most foods can be divided into alkaline and acidic. Meat, liquor, coffee, processed foods and preservatives are acidic, and much of today’s foods fall into this category. If we consume too much acidic food our bodies become acidic, which leads to many problems including low natural resistance to sickness, low metabolism, constipation, tenseness, stress, fatigue and many more ailments. In addition, many middle-aged and older people suffer from physical disorders such as high blood pressure, diabetes, arthritis, kidney and liver disorders to name a few! This has been shown to be a direct result of accumulated harmful drinking and eating habits which gradually change the body condition to acidic! Many people have discovered that eating a pH balanced diet has helped turn their health around. Many others have found that drinking plenty of ionized water daily can and does flush out the toxins stored in the body to promote a healthier lifestyle. This has led to the belief that you are not only what you eat, but also what you drink – especially since our bodies are made up of over 70% water! So what's all this about Acid/﻿Alkaline﻿ Balance? 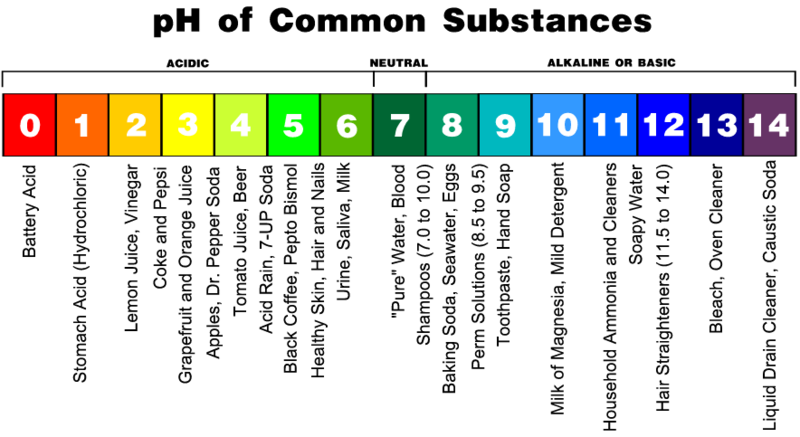 The pH scale measures how acidic or basic a substance is. It ranges from 0 to 14. A pH of 7 is neutral. A pH less than 7 is acidic, and a pH greater than 7 is basic. "The body continually strives to balance pH. When this pH balance is compromised many health problems can occur. A diet of organic alkalizing vegetables is rich in alkalizing minerals (electrolytes) fosters a pH-balanced internal ecology. This kind of internal environment supports normal function of the body’s own systems necessary for the body to resist health issues. Alternatively the Standard American Diet (SAD) entrenched in the fast-food culture is destructively unbalanced toward an acidic internal ecology. In the presence of acids, oxygen levels drop. This combination of increased acid levels and low oxygen levels creates an environment specific for pathogenic organisms. 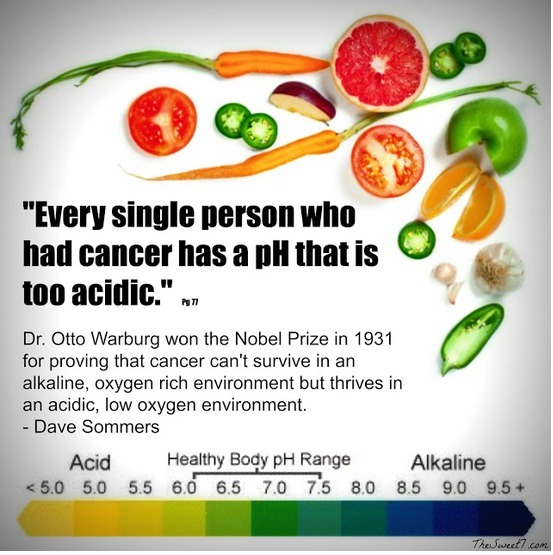 When the body is alkaline and oxygen rich, these same harmful organisms simply CANNOT survive. So in a nutshell, an alkaline internal ecology or environment is supportive and beneficial for your overall well-being.